The APEC gift K5 Billion Deal MOU signed on 16 November 2018 between PNG’s Mining Minister Hon. Johnson Tuke and the Chinese Government for Ramu Nickel Extenstion Project. Following the forum, 1215 people signed a petition to stop the K5 Billion Extension Project and even shut down the Basamuk Refinery and limestone mine if the Government fails to hear us. For thirteen (13) years, our voices have not been represented in Parliament and have been supressed because we’ve been told to raise such issues throught our elected MP and the landowners association. For obvious reasons, our voices get drowned between Cape Righy and Godawan. This time, with the support of five (5) elected Ward Members, we’ve formed The Basamuk People’s Voice which complements the petition by the four (4) LOAs from Kurumbukari to Basamok. We have been deprived of our natural justice enshrined in our National Constitution and Directive Principles for far too long. Our petition is directed to the Minister for Minister for Mining Hon. Johnson Tuke, and copied to the Prime Minister, Hon. Peter O’Neill, Minister for National Planning, Hon. Richard Maru, Governor for Madang Hon. Peter Yama, Minister for Provincial Affairs, Hon. Kevin Isifu, President Ramu Nico Management (MCC) Ltd Mr. Gao Yongxue, and the Chairmen of the 4 landowner Associations from Kurumbukari to Basamok. We the landowners and the mine-impacted communities of Rai Coast and Astrolabe Bay Rural LLGs, and particularly the Basamuk landowners, of Rai Coast District of Madang Province hereby present this letter of petition to you as Minister responsible for mining, the Prime Minister Hon. Peter O’Neill, the National Government and the Madang Provincial Government. During the APEC Summit on 16 November 2018, you signed an MOU with the Government of China, witnessed by our Prime Minister and the President of China, Xi Jinping, for a K5 Billion Ramu Nickel Mine Extension Project deal. We the people of Rai Coast say NO to the use of our land, sea, rivers, limestone and people for the Extension Project unless our demands are met. Our people have not benefited from key infrastructures nor socio-economic development for over 13 years since the Chinese first set foot at our doorstep. We demand urgent and priority funding for the missing link Madang-Morobe Coastal Highway, which will connect Madang to Basamuk and beyond. In the PNG Development Strategic Plan 2010 – 2030, this area has been identified as one of the 10 economic corridors, with big economic potential but most disadvantaged. Rai Coast District has huge economic potential in Agriculture, Tourism, Fisheries and MSME. For example, statistics from Cocoa Board shows that Rai Coast District has the highest number of cocoa fermentries and we produce the most cocoa in Madang Province. 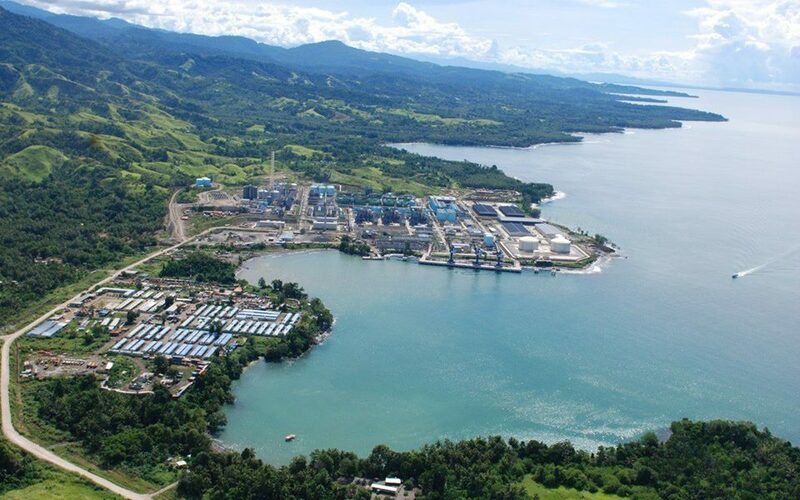 We need this key infrastructure to open up the resource-rich Madang-Morobe coastal economic corridor. Since PNG joined China’s “One Belt One Road” (OBOR) Initiative, we have seen the Government build massive infrastructures in Port Moresby City. We have seen Billions of Kina Chinese-funded new road networks in the Highlands, hospitals and agriculture projects. We the Rai Coast people have been hosting the Chinese for 13 years. Their State-owned company MCC’s biggest footprint is in our villages, our seas, rivers, and the air. Yet we have ZERO major high impact infrastructures, the most obvious one being the road. The sea continue to be the graveyard for hundreds of Rai Coast people. We continue to take this risk every day. The District’s social indicators are very low. Lack of infrastructure, transport and access to energy hinder us from economic participation. Minister, this time we will not allow any further Extension Project and we will also shut down the refinery if the Government does not start building our road and bridges as of 2019. We demand an independent assessment by environmental professionals on the impact of the Mine on the people, their livelihood and the environment. This must not be sponsored by the Company nor done by CEPA, as they have compromised and failed us over a decade. There is a Court Order for 3-monthly assessments that has never been adhered to. We demand the Government to immediately review and stop the special permission granted to the company to burn heavy oil for electricity. We understand this heavy oil is banned in rest of the world. We demand an urgent independent assessment into the quality of air from sulphur dioxide and nitrogen dioxide air emissions. We demand the company be held to task to immediately produce hydro-power from the many rivers we have and even serve electricity with the people as per the Government’s rural electrification agenda. No health baseline study has ever been conducted to date. Human use of sea and fish tissue is not analysed. The medical and safety standard of the mine is appalling. Permanent relocation of people away from the hazardous refinery area to Yalau Plantation and the development of Yalau Township as one-stop LLG Town and Service Centre for the District. We demand an urgent review and cessation of the fiscal incentives of 10-year tax holiday given to the Developer. This tax holiday has effectively transferred wealth from Papua New Guineans to China. The Developer must now pay taxes and this be utilized under Infrastructure Tax Credit Scheme for vital infrastructures like roads, schools, health facilities and Infrastructure Development Grants for the mine-impacted Districts. We have existing issues that the Government and the Developer has failed to resolve. Some of these matters have been raised by the Four (4) Landowner Associations in their petition of 21 November, 2018 to you. For Basamuk, notable is the landownership issue which the State’s decision and the Developer’s ignorance has caused. The Basamuk land dispute was gazetted in the National Gazette in 2001 (G169 of 2001). The land was exempted from Government’s Compulsory Acquisition process in 2002 (G51 of 2002). This decision was held by the National Court in 2007. Both GoPNG and the Developer are illegally operating on our land. Both GoPNG and Developer did not conduct due diligence to identify the land gazetted as Volume 27 Folio 142, containing an area of 87 hectares acquired for Mining purpose. This is different to Volume 26 Folio 65, identified by registered survey File No. 12/257 containing an area of 83.989 hectares, erroneously referred to as Mindre Portion 109 that contains the modified survey of Basamuk, which falls short of the original survey. Mindre and Basamuk are two different lands. The Government did not properly acquire the land and the documents/evidence we have on hand indicates fraud on the part of the State, contempt of Court and the Developer illegally residing on our land. We therefore demand the State to immediately look into this matter, have it resolved and pay the parties concerned compensation as stated in Section 53(1) and 53(2) of the Constitution. (i) Completely stop any Extension Project. (ii) Shut down Basamuk Refinery as it is illegally operating on our land, in contempt of Court. We are optimistic that the Government will respond favorably to our petition. We understand the PNG-China relationship and look forward to further dialogue with your Department, the Madang Provincial Government and the State. Press Conference on this held in Madang town on Wednesday 05/12/18. The petition will be made online and we ask as many people as possible help us petition and socialize this matter. Please help us fight for our rights. Way forward for the sharing of spin off benefits and infrastructure development as per the agreement that has not been honoured for the past operational years. I support this petition. I know how people were removed from their land for this project. I have seen the continuing threat the the environment from the pipeline. I know Basamuk Bay, or anywhere else in the sea is no place to dump tailings. I have seen how ordinary people do not benefit from resource projects, they only pay the costs. Thanks for your work. Thank you Champ for organizing this move and providing the leadership our people have desired for a long time. Please create an online petition and share the link so many people can also sign. We can’t continue to allow our government to rip us off. Apart from the landowners concerns over land rights and breach of agreements, Papua New Guinean workers working with this Chinese venture, MCC, are experiencing some worse forms of labour exploitation. At the PNG Trade Union Congress we are concern at the modern day slavery deployed by MCC. With powers that be blinded by incentives, this fight is left to us to seek justice, restore our people’s dignity and instill fairness in all deals. 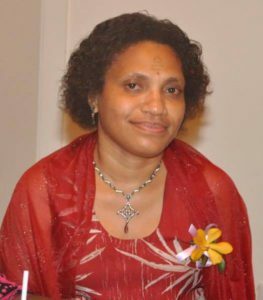 The TUC Management Board have now a new Vice President based in Madang. Strategic positioning to deal with Asian-GoPNG scrupulous deals in partnership with local landowners. We note and acknowledge your stances and we believe as partners we can strengthen the voices of our people. Rai Coast being one, our displaced from Manam Island being the other and the concerns of the LO’s of PMIZ area. At this juncture, we wish you and family a very merry Christmas and and properous 2019. The same mistake that was made to the Panguna landowners & Bougainvillians that led to a bloody conflict must not be repeated to the Ramu/Rai coast people. Gov’t must listen to its’ people’s cry & stop unnecessary bloodshed. We in Bougainville fully support these people’s petition to the Gov’t. Pls deal with this favourably. Way to go. If there are no tangible benefits for the land owners, then it is not development. Not to mention the detrimental effects on the beautiful environment along the coast being ignored. Praying for you and our communities there.